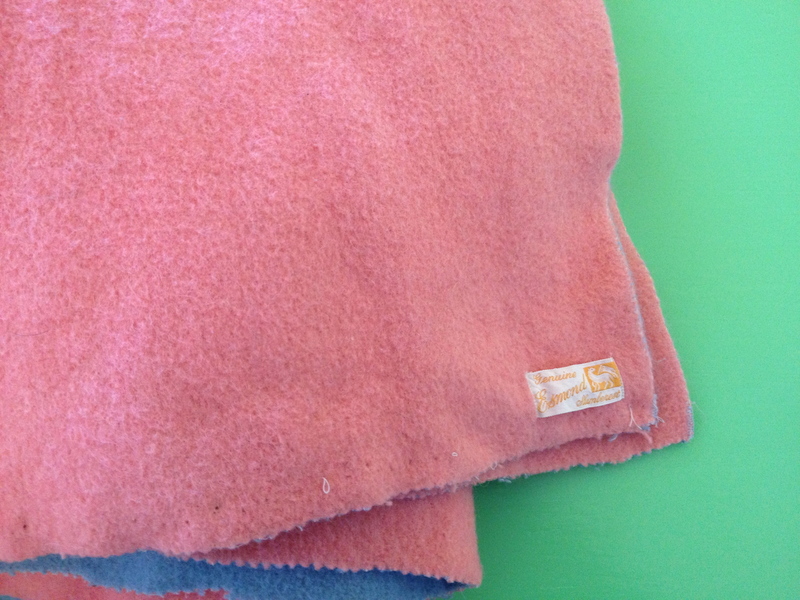 This vintage twin-size Esmond Slumberest blanket has been languishing in my “mend it” pile for three years now. Its nicest feature? 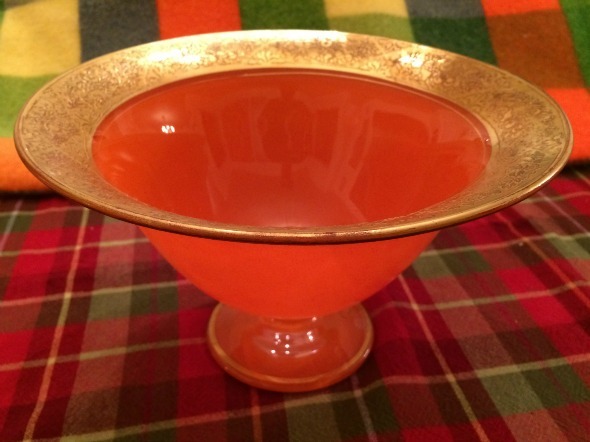 It’s Canada-mint pink on one side, and Wedgwood blue on the other. (My camera is having trouble getting the colors right! It’s really pink. Not peach.) 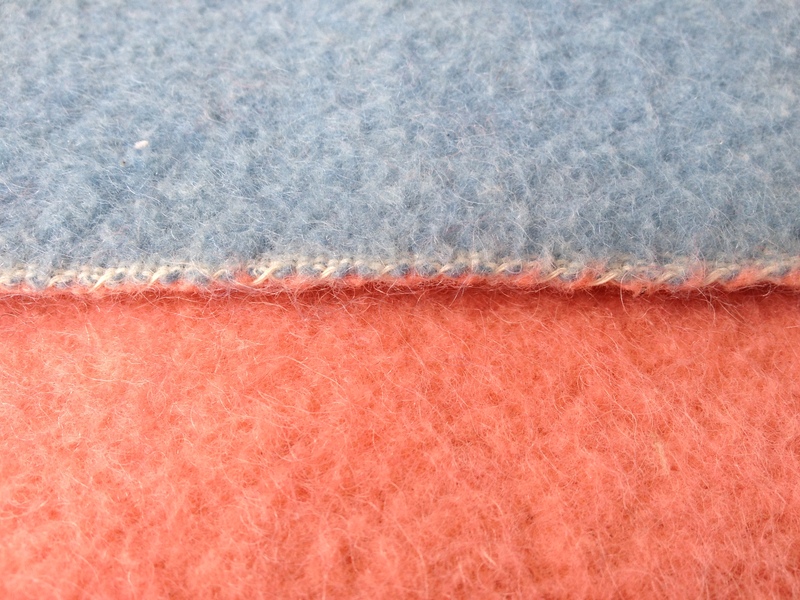 The two layers of color are meshed together through the entire fabric, not just sewn together at the edges. I’m not quite sure how they did that! 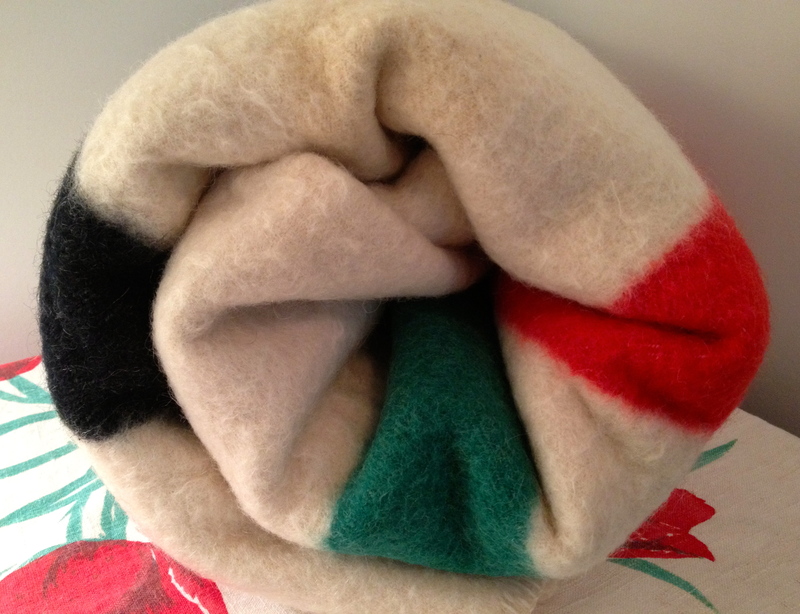 It’s wool, I think. Perhaps very slightly shrunken wool, to judge from the way the label doesn’t lie flat. Maybe part wool and part rayon? The label doesn’t say. But not a modern acrylic for sure. 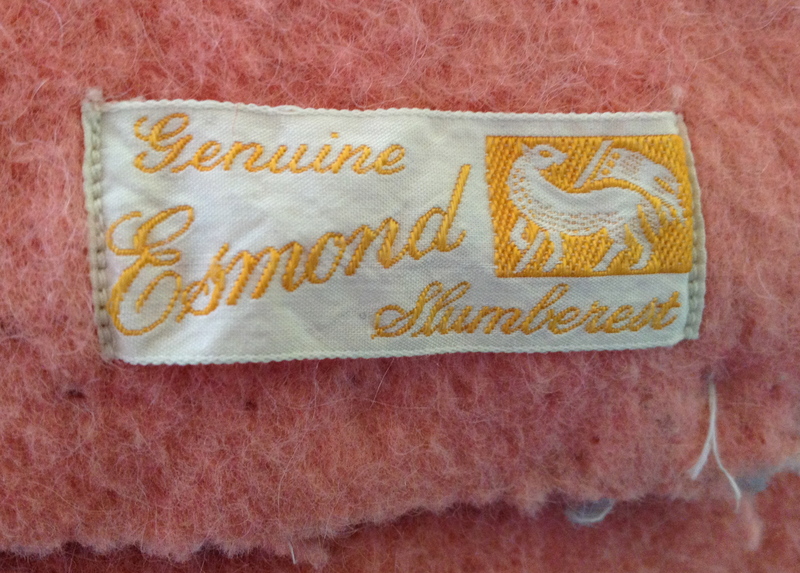 I believe Esmond got bought out by Bates sometime in the ’40s, before acrylic blankets were a thing. Don’t quote me on that! Alas, the original blanket binding is long gone. 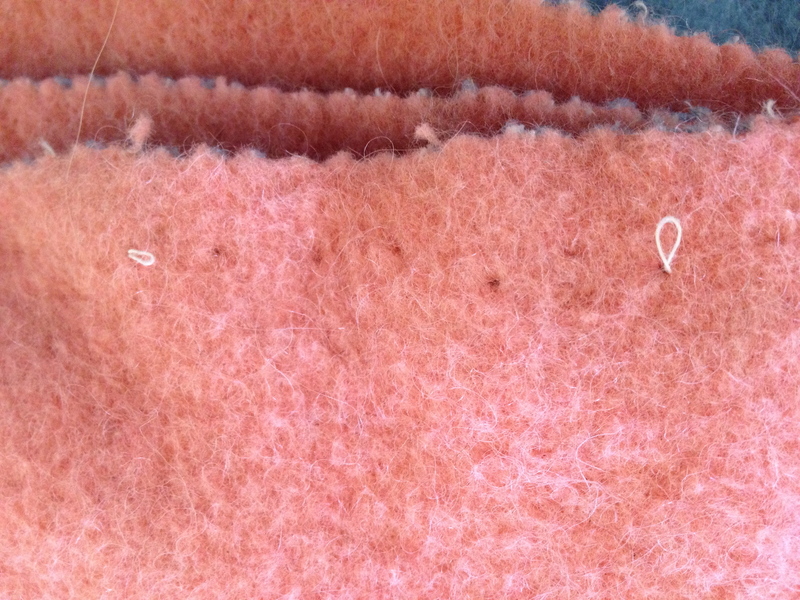 You can see the pinked edges there, and the stitching holes where the binding used to be. And why has this lusciously fuzzy and warm blanket been languishing forlornly in my mending pile for three cold New England winters in a row? I’m embarrassed to tell you, but here goes.